If you’re in the commercial shipping industry, your entire business involves the shipping and receiving of packages, mail and heavy freight. With shipping costs continuing to climb, you can’t afford to have an inaccurate shipping scale increase your costs, and ultimately drive you out of business. You also don’t want to run into a situation where the freight you’re trying to ship is too heavy for your scale, or your scale can’t handle the volume of your shipping needs. 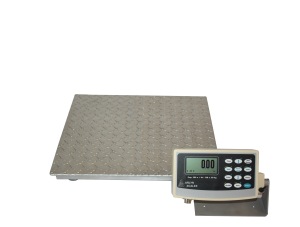 If you’re looking for a reliable industrial-grade shipping scale, platform scales should likely be your first choice. Regardless of basic design differences among manufacturers, most platform scales should be accurate, shock resistant and durable. Without these incredibly important qualities, a scale will almost certainly not be able to meet the needs of a growing shipping company. At Arlyn Scales, we’ve been a fixture in the weighing industry for well over 30 years now. One of the primary reasons we’ve been able to stay in business this long is due to our drive to develop new technologies, designs and applications for our large line of scales. To ensure that our customers are always receiving the absolute highest quality scale on the market, we design and manufacture our scales and scale components in our state of the art Long Island, New York factory. When you purchase a scale from Arlyn Scales you’re purchasing a scale that was designed and manufactured right here in the U.S. How many other scale manufacturers can make this statement? Not many! By manufacturing our scales in the U.S., we’re able to ship factory direct to our customers, which helps to drive costs down significantly. With Arlyn Scales, there are no distributors to go through should you ever have a problem with your scale. You can simply call our toll free number and we’ll respond immediately to any need that you may have. When it comes to the best scale for shipping applications, we often recommend our Model 320M platform scale, which offers a large number of features that should be extremely attractive to commercial shipping companies. Our Model 320M platform scale can handle the heaviest of items that you may need to ship. With a standard capacity of 1,000 lbs. and a resolution of 0.2 lbs., you’ll not only be able to weigh large items, but you’ll also be able to record extremely accurate measurements. Should you need even greater accuracy, we also offer our Ultra Precision Scales, which provide 10 to 20 times the accuracy of a standard strain gage platform scale. Most platform scales are manufactured from sheet metal, while our Model 320M is specifically constructed to be both rust resistant and rugged. Our scale uses a welded construction, which ensures it’s able to withstand more challenging environmental conditions compared to scales built from standard sheet metal construction. At Arlyn Scales, we build our platform scale bodies out of aluminum, which is extremely resistant to rust. Even if your scale were to handle corrosive products, we also offer a full stainless steel construction if necessary. Another feature of our platform scales that sets them apart from the competition is our stainless steel load cells. While many scale manufacturers manufacture their load cells from aluminum, we feel that stronger, more durable load cells directly translate into a stronger, more durable scale. Aluminum load cells are much more vulnerable to shock loading (dropping an item from a height on to a scale) as well as overloading. If load cells become damaged, a scale has to be taken out of service, which can cost you time and money. Our superior load cell design helps to ensure that your scale stays in service over the long haul. Our Model 320M platform scale offers a wide range of platform sizes and two different capacities. Our platforms start at 20” x 27” and go up in size to 48” x 48”. All of our platforms are designed with an extremely low profile to make easy work of your shipping needs. Should our standard 320M scale capacity of 1,000 lb. not be sufficient, we also offer a model with a 5,000 lb. capacity. USB – With a simple USB cable, you can connect your shipping scale to a personal computer to control your scale, as well as export weight data that can be viewed in a variety of applications such as Microsoft Access or Excel. Ethernet / WiFi – Using our remote software, you can access your scale via an Ethernet or WiFi connection. This opens up a variety of opportunities where you can control and access weight data from anywhere, as long as you have an active Internet connection. Datalogging – Some of our customers must use our scales in areas where computers are not readily accessible. In these instances, our shipping scales support a datalogging function that allows you to plug in a USB drive and download weight data to be analyzed at a later time. Your weight data will be accessible in a CSV format, which can be viewed by all major spreadsheet, database and word processing applications. If you’re having trouble finding a reliable, accurate shipping scale for your commercial facility, our 320M platform scale may be worth a further look. For more information on our commercial shipping scales as well as our wide range of other scale options, feel free to contact our team today toll free at 800-645-4301.